Are You a Smart Investor? Anyone can be an investor. Find something to invest in, fork over you money and hope for a great return. I’m sure your goal is not just to be an investor, but to be a smart investor that is successful in getting those returns. 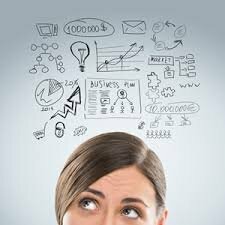 To be successful you need to think about investing in an intelligent way. So what is a “smart investor”? A smart investor is someone who chooses the right financial product, after considering all the related aspects, keeping their needs and goals in mind, to earn maximum return on their investment. To help determine if you are a smart investor there are 6 key elements that you should consider. What are your objectives for investing? You need to determine what you hope to gain. Perhaps you want to earn enough to buy a new car, or are saving for a children’s education, or trying to grow your retirement nest egg? Everyone’s goal is different and individual. Be careful investing in something that a friend or family member is investing it, as they may not have the same objectives as yours. Are you investing for tax benefits? If you want to pay the least amount of taxes as possible you will want to choose different investments over others. Real Estate investing offer many tax advantages that many others do not. Do your investment choices align with your time lines? Everyone had different goals and different time frames in which they want to accomplish them. The type of investments you choose will depend on whether you’re saving for long-term or short-term goals. 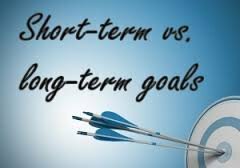 If you have a short term goal such as saving up for a vacation next summer, choosing an investment that requires you to hold your funds for several years, is probably not the proper investment for that specific goal. Are you a rookie or are you seasoned investor? The more you know about an investment the better able you are to determine if it’s the right one for you. If you’ve never invested before you may not want to deploy your hard earned money into leveraged exchange-traded funds, which are considered among the most volatile instruments in the markets today. That is not to say that you can’t or shouldn’t invest in those funds. If this investment vehicle is of interest to you, by all means look into it. You just need to do your research first so you truly understand the pros and cons before making any investing decision. Knowledge is power, so become educated about your investing options. Many people believe that investing should be done in baby steps. Start off with less risky/complicated investments and work your way up as you become more seasoned. Speak with your financial advisors to assist you with your investment decisions. How much money do you have available to invest? You should have an understanding of your financials before investing any of your hard earned money. Putting every available penny you have into an investment is not a smart investor decision. You don’t want to be bankrupt should your investment go sour. A good rule of thumb that I like to use before making any investment, is to go into it asking myself if I would be OK with me losing some or all of it. If losing that sum of money would affect your daily life in a major way, or would keep you awake at night wondering how you would pay your rent or buy your monthly groceries, then it’s probably not the right time, or the right amount to be investing. 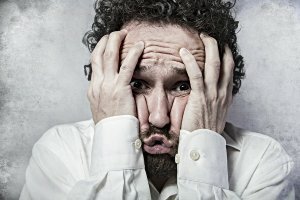 Are you letting your emotions choose your investments? How many of you have investing money on a “hot tip” from a friend or colleague? How many of you got caught up in the hype when someone tells you “You have to get on in this deal NOW, before it’s sold out! !” A smart investor keeps their emotions in check and does not make rash decisions when it comes to their money, or really anything else in their life that they value as important. Do your homework and objectively look at the pros and cons. You need to determine if the investment makes sense for YOU. Don’t worry about what your dentist or neighbor down the road is doing. Are you risk adverse or are you a risk-taker? All investments are risky and there are no guarantees. Some people are comfortable doing low risk investments, while others are willing to put their money in higher risk products. There’s no right answer. While risk sounds like something to avoid, there can be an upside. Generally the greater the risk, the greater the reward. 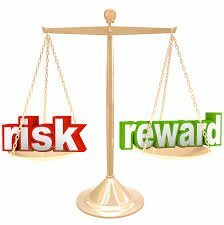 The key is finding a balance between risk and reward that you are comfortable with, and that’s appropriate for your investment time frame. It’s an important first step to successful investing. Another element related to risk is diversification. You should also consider diversifying your portfolio. Spreading your assets across a wide range of investments is an effective way to reduce risk and increase potential returns over the long term. Holding a mixture of different types of investments will help cushion your portfolio from downturns, as the value of some investments may go up while the value of others may go down. You should also identify the pros and cons of your investment options and weigh their importance before deciding which investments to choose. Smart investors should speak with their financial or wealth advisors to help guide them in making smart choices. You work hard for you money, so take the time to analyze these 6 elements. Don’t just be an investor – be a SMART investor!! If you want to learn more about being a smart investor, or would like to know more about how real estate investing can benefit you, then contact us!! We’d like to hear from you. With Simple Acquisitions, it’s smart and simple!! !